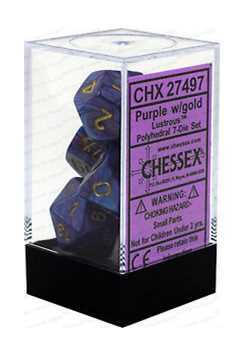 Chessex Lustrous Purple w/ Gold Polyhedral 7 Dice Set Includes Storage Container! ? Quantity: 7 Dice Set ? Standard Polyhedral. 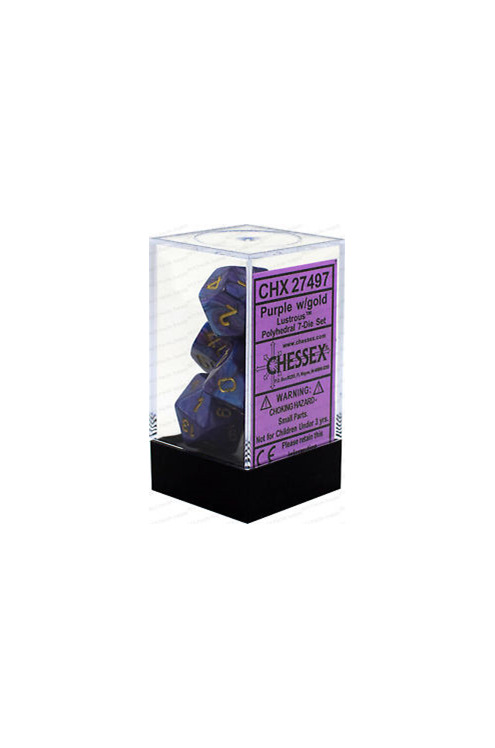 Chessex Standard Series. Chessex Signature Series. ? Style: Lustrous ? Signature Serie.